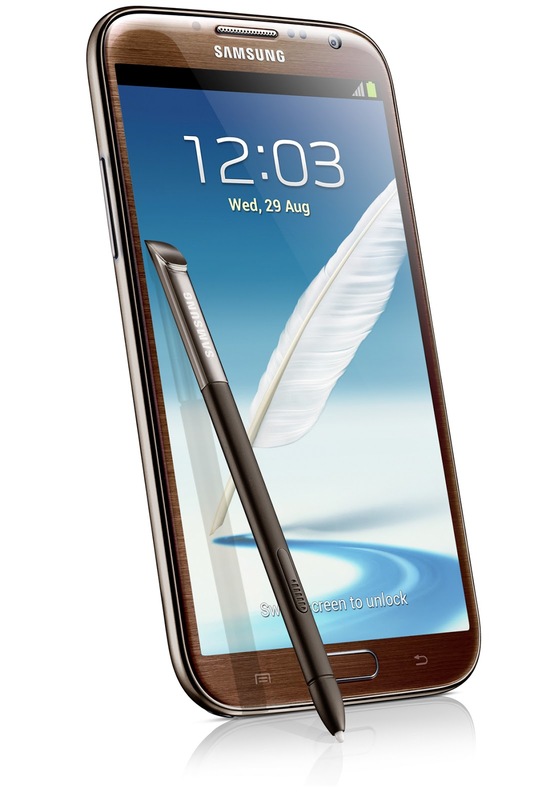 Yes, I'm referring the title to Samsung Galaxy Note 2 latest limited edition colour addition - Amber Brown! Amber Brown - Limited edition colour, available while stocks last! Brown, a colour that is down-to-earth that approaching anyone at anytime is possible. 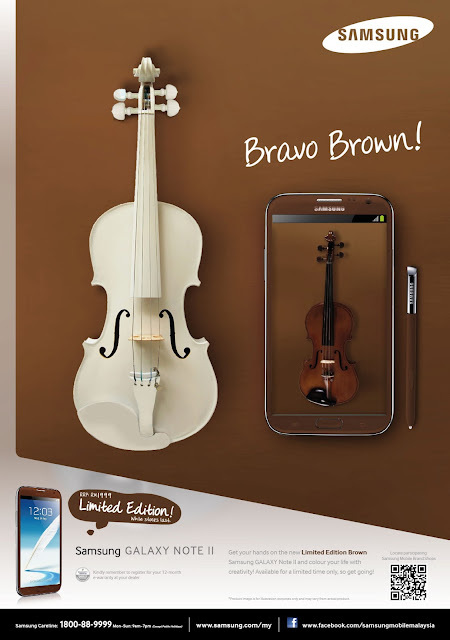 Samsung Galaxy Note 2's Amber Brown colour is a 'timeless coloured' smartphone that can be match simply with anyone. Its sensual and warm colour gives the supportive feeling to anyone who owns it. 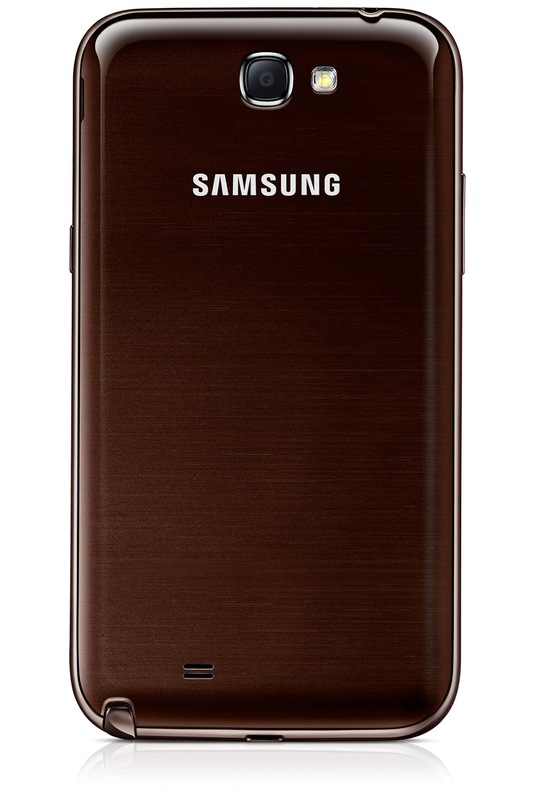 The colour of this phone kinda reminds me of chocolate - sweet indulgence and yet giving me all the satisfying feeling once I had a bite of it. Besides me, I'm sure Amber Brown coloured Samsung Galaxy Note 2 are what the guys are looking for, something that stands out from the norms but yet not too flashy. I find it is a perfect gift for guys, don't you think so? Just like the other Galaxy Note 2, this smartphone have the 5.5 HD Super Amoled screen, which not just providing sharper and glare-free images on screen, but at the same time consumed less battery power than traditional touch screen. Quad core processor with 1.6GHz CPU speed, running on Android 4.1 Jelly Bean OS, with Air View gesture and enhanced S Pen benefits, this timeless beauty truly cater the needs of an elegant gadget lover. Sleek with a comfort grip. Hesitate no more, if you're looking for a gift for your guy friends, boyfriend or your one and only beloved father (Father's Day approaching *hints), Samsung Galaxy Note 2 in Amber Brown is the best gift in my opinion. 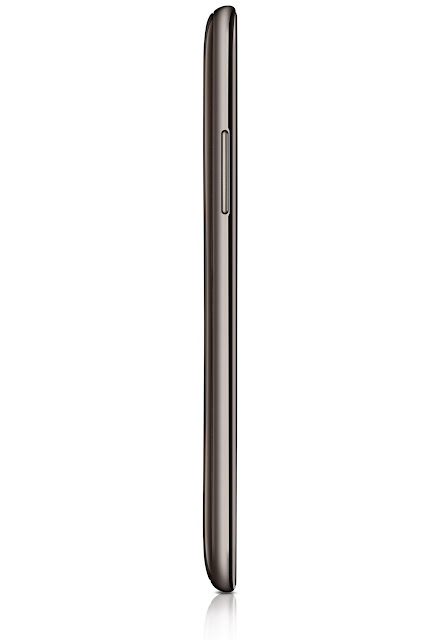 Remember, experience this timeless elegant creation from Samsung at any Samsung Outlet nears you.